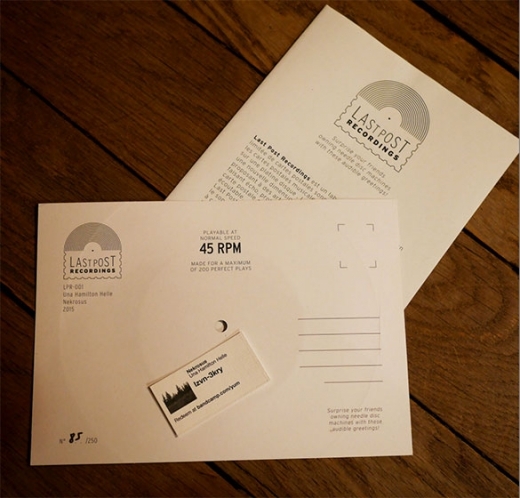 Last post Recordings (FR) release flexidiscs which hark back to the old tradition of sound postcards, a tradition where post-Victorian travellers would send postcards with sound-bits to loved ones from places they had visited. 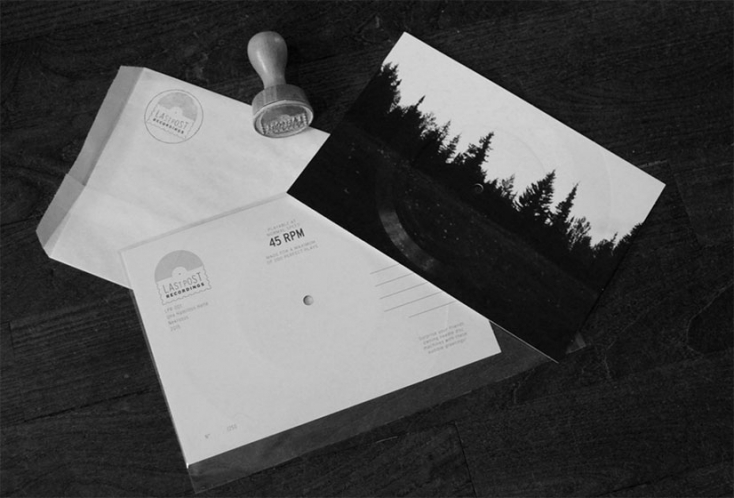 As the first in a series of releases on the theme of landscape, Nekrosus has been released as a limited sound postcard of 250 numbered ex and features the spoken word soundtrack to my video work of the same name. 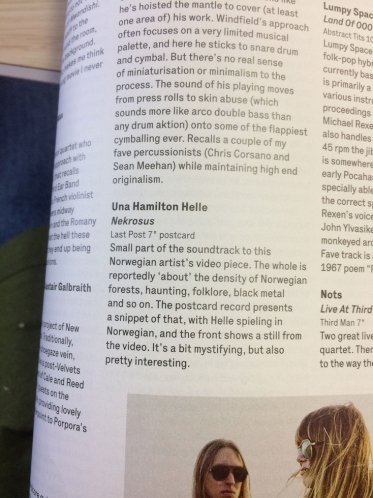 For Last Post Recordings Una Hamilton Helle offers the listener a sound postcard with the voice over from her video installation Nekrosus. The front of the postcard shows a photograph taken by the artist close to her childhood cabin in Norway. This was the location where she first experienced a deep-seated fear while watching the edges of a forest seemingly inhabited by supernatural beings, well known from Norwegian folklore. 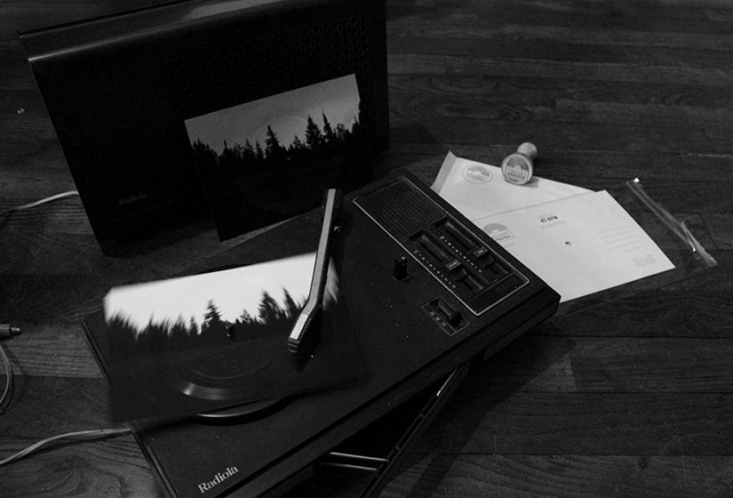 In the same tortured vocals as black metal, a genre that also takes inspiration from the dark undercurrents of nature, Una Hamilton Helle describes in her native language a desolate place, located at the edge of two worlds separated by a thin veil of reality. 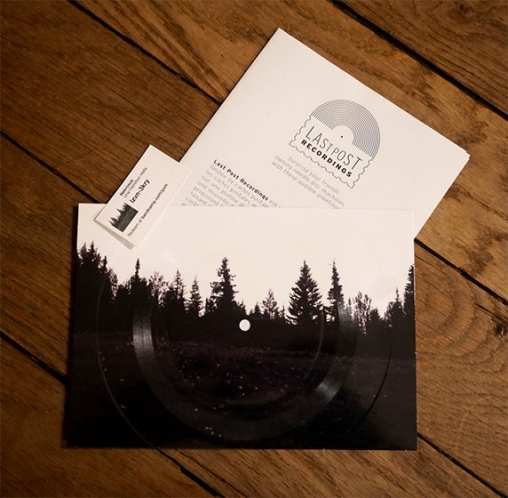 See and hear more on the Last Post Recordings bandcamp page.